Following on from my last post, which you can read here, I'm starting a new series which is sort of experimental... 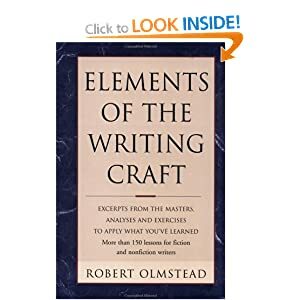 I'm going to be looking at the actual craft of writing, not as a teacher or from a "how to" perspective, but as an aspiring writer on their own journey. Along the way I will be picking up with other writers on similar journeys, and pondering various questions. Firstly, I want to make it clear that I'm not advocating one "style" or "voice" over another. I'm not going to use this as a platform to push complex sentences, or no adverbs allowed, or that dialogue tags are an unforgivable sin. I've seen it bantered about often in writing forums and elsewhere that the 'rules of writing' should be applied "except when [the things we shouldn't do] work". 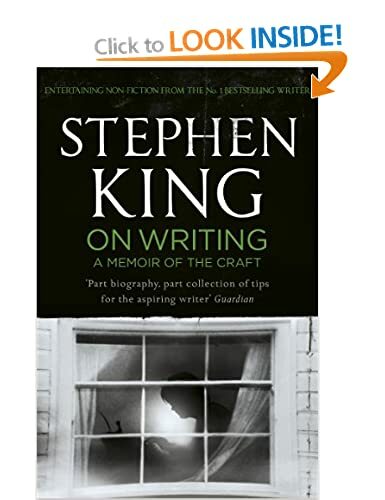 I would advise you check out some books on writing craft for that kind of thing! Show, don't tell - except when telling works better than showing. Don't use adverbs - except when they create the emphasis you want, or when they help rather than hinder the flow or the feel of the scene. Everyone has their own style, their own voice, and their own techniques. They may use them consciously or unconsciously, and bad habits can creep in as well as recognisable motifs. What I want to do is to explore a gallery of writing samples, like an art gallery, and try to look at them from different perspectives. It's going to be a chance for me to look at my favourite authors in a new light, and take you on that journey too; to look at my own work in a critical way and give you updates on how that's going; and to showcase other writers' work as well. I'd love to see how my work compares, not necessarily in a negative way, just in a ... different way. The artists in Sky Arts 1's Portrait Artist of the Year (yes, we're back to that) were advised by the judges to check out the work of different artists while they were on their assignment in Paris. They each had their own style and their own portfolios, which were vastly different and fresh. Yet their styles got compared to different French artists throughout history, and they spent some time checking out the paintings they had been advised to study while there. They then went on to paint Sophie Dahl over two days, in six hours, and they each produced a strikingly different portrait of her. Sophie Dahl said she loved them all and couldn't choose her favourite, because they were all so completely different - from the techniques to the colour palette. The artists themselves were not 100% happy with their finished products - they only had six hours - and they weren't sure if they had done all that the judges had advised them to do / not do. But one of the judges admitted freely that the advice they had given was entirely subjective, and they trusted the artists' judgement to take or ignore parts of it, depending on what made the most sense in terms of what they wanted to do. You could see why the artists were not all happy about their work, but you could also see what was good and what was not so good about the finished pieces... as could the judges. The really interesting thing was the fact that by this point, it was much clearer that the pieces were not being judged comparatively by the styles of the others - they were being judged against the quality of the artist's own work, and the potential for growth that the experts could see within that work. When we write, we are also just judging our work against the limitations of our own potential. Yes; we are all limited. Charles Dickens could never write War and Peace and have it come out the way it has. It would have come out as if Charles Dickens had written it, not Leo Tolstoy. George R. R. Martin could never write The Chronicles of Narnia and have them come out word for word the same. 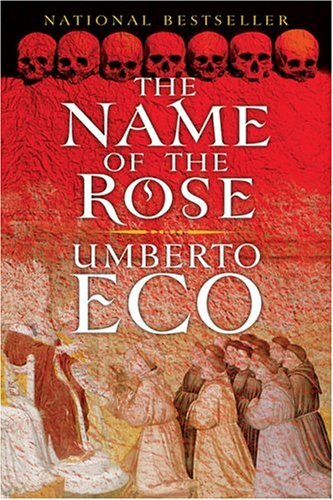 J. K. Rowling could not have written The Name of the Rose, and Umberto Eco could not have written Harry Potter. Would those books be better or worse for their change in author? Would The Canterbury Tales have been improved if Shakespeare had written it instead, and would Romeo and Juliet still be an enduring classic if it had been written by Chaucer? Whatever you think about this - and that might be a really fun experiment for some literary enthusiast who can mimic the styles of other authors, or develop some programme that can identify vocabulary and syntax and switch the plots over - the fact is the end results would never be the same. So - - - on this journey to discover my voice and style, and how I can make it better, I hope blogging about my random thoughts and discoveries and all sorts will be of some interest or help to someone else! I also hope that in and through the future posts, you'll discover new authors or rediscover ones you already like. What Does ChickLit Mean To You? Adhering (somewhat loosely) to my Story Construction theme, I have a guest blog post for you all! I thought that, having kicked off with a bit of readership/audience/critical reception consideration, it might be a good idea to delve into another area for a few posts - that of the PREMISE. Crucial to any part of a story is the starting point, the idea. The identity of the actual product may not become clear to you for a while, or develop organically, or even evolve from the start to the end. You may find that the initial idea, which leant itself so well to one niche, has migrated subtely along the shelf and is now firmly wedged in another. Back in 2014 I had this idea for taking the traits assigned to a zodiac sign and using them as prompts for blog post themes. It was good for a bit but life, work and my mental health got in the way of my writing, so the blog was the first thing to go. I loved the series and the concept, though, so now I think the time has come to revive it! This post is basically me re-blogging the original concept with the ideas I had for each post. I got as far as Gemini before. I started with my own sign, Capricorn. See below for the links to the previous posts! Capricorn  - Capricorns are known for their down-to-earth mentality. So I blogged on being down-to-earth in the sense of being realistic, and how realistic character development can be achieved if you're writing the same characters over a long period of their lives. Well, for those of you not in the know (for shame!!) the charity anthology Library of Dreams is now on sale at Amazon UK, Amazon US, Createspace and Smashwords. Check out the Goodreads Giveaway too! You have to be in it to win it! I have been looking at the styles and voices of some of the authors featured in the anthology, and I have more for you to come. Today, however, I've got an exclusive interview with Len Webster, author of THE RIBBON CHASERS, another story featured in the anthology. Len Webster is a romance author and Melburnian, dreaming of her own romantic adventure. I caught up with her to chat about her writing, and what inspired her to support the charity Litworld in this way. CMR: So, Len, it's lovely to catch up with you! Tell us a bit about yourself. What do you get up to when you're not writing?